Higher Education and Jobs: How to Enhance the Outlook What Social Media Do Recruiters Use? Looking forward to taking in a theme park or two this summer? Be prepared for some of the attractions to utilize cutting-edge technology news. Theme parks, once entirely analogue, are enhancing experiences with multiple digital strategies. Rides like roller coasters, whirling teacups, and plunging water boats are still on tap, but they are increasingly being combined with digital capabilities. Universal Studios, for example, has long had a street and other areas based on the popular books and films about wizard Harry Potter. Visitors can walk down Diagon Alley, the shopping street near Hogwarts. But now, customers can also interact with the tellers in Gringott’s bank. They can be surrounded with 3D images of Harry and his friends playing Quidditch. Fans of the Fast and the Furious, too, will this summer be surrounded by high definition and three-dimensional screens as they drive. 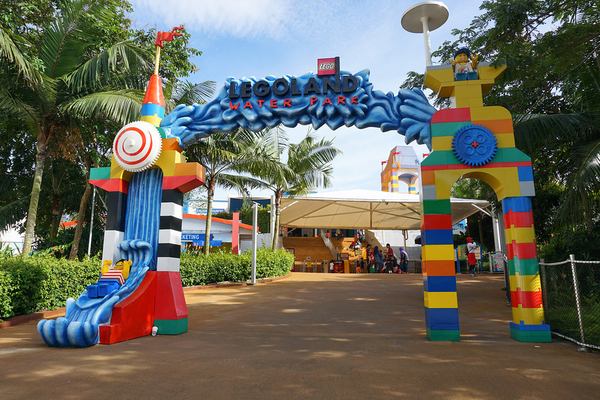 At Toy Story Land, a new attraction at Walt Disney World in Florida, visitors will have the illusion that they have shrunk to the size of a toy due to the surrounding digital world. What else? Theme park representatives interviewed by professors at the University of Pennsylvania’s Wharton School noted that the activities can increasingly be personalized. Theme parks actively use the preferences visitors have expressed online and via mobile apps to, for example, present different material to them than other visitors might see. What they are prompted to do, or benefits they are shown, may also be customized to the number of people visiting and their ages, the weather and time of day, and other factors. Digitization is also being used to make the experience more convenient for consumers. Rather than holding a physical ticket, consumers are being issued wristbands that tell them information about their rides, their passes, and so forth. Experiences are increasingly being personalized and made convenient with technology. Interestingly, theme park developers are also conscious of not using too much information gathered digitally, or using it in a way that customers may interpret as intrusive. Similarly, while artificial intelligence and analytics are used to predict what sort of experience a park-goer might find pleasurable or convenient, developers are careful not to make them feel like a line has been crossed in terms of utilizing their data. That’s a smart business strategy, but how is such a line established? The developers who spoke to the Wharton School were careful to give a customer-centric focus to all their decisions, emphasizing that the customer should experience what they want when they want it. The developers also acknowledge that the primacy of the physical world will never be gone from theme parks. Rides are still rides that customers need to get on and get off themselves. Moreover, part of the experience is being surrounded by other people enjoying the experience as well. In the future, theme parks will increasingly blend physical and digital experiences, using artificial reality (AR) and three-dimensional screens and glasses to optimize customer experiences.